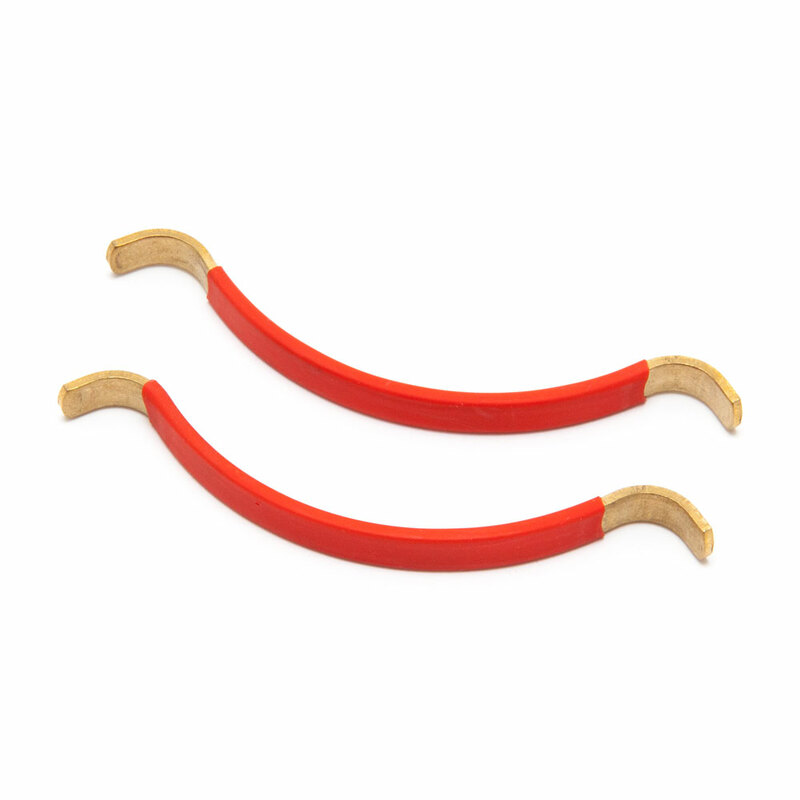 These string spreaders make quick, spot fix fretboard jobs easy by keeping the strings out the way while you work, simply loosen the strings and tuck them behind the hooked ends of the spreader. The strings spreaders are 85.7 mm (3.37") long and are brass with a rubber coating to sit against the back of the neck. Supplied in a set of 2.